64 New Wave Pre-writing patterns aids the smooth transition to writing alphabet letters. Written by occupational therapists, this simple activity book presents a systematic and fun approach for teaching the foundation skills that are essential for children to learn the pre-writing patterns used to make pictures and then combined to make letters and numbers. • Step 1 - Learn the new pattern as a big body movement. At this initial stage it is essential that the oral prompting clues are also established. • Step 2 - Use art activities to practise the new movement, in big and small ways, to form a memory for making pre-writing patterns. 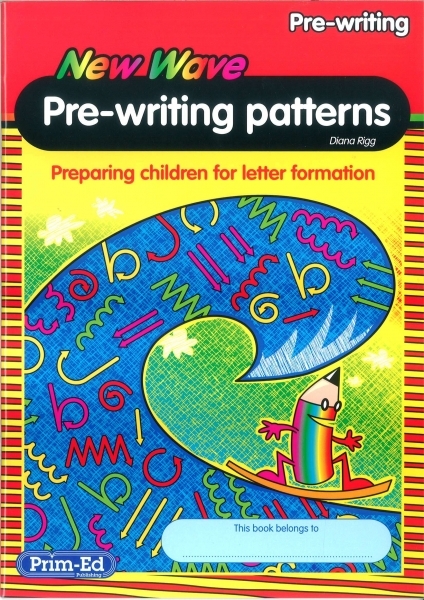 • Step 3 - Consolidate the new movement and pattern through pre-writing pattern activity sheets.